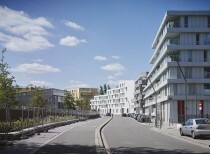 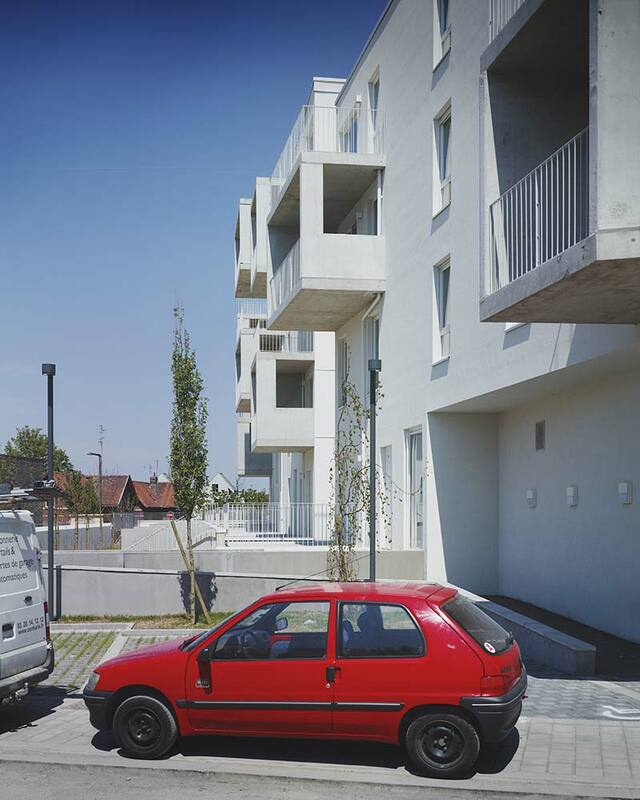 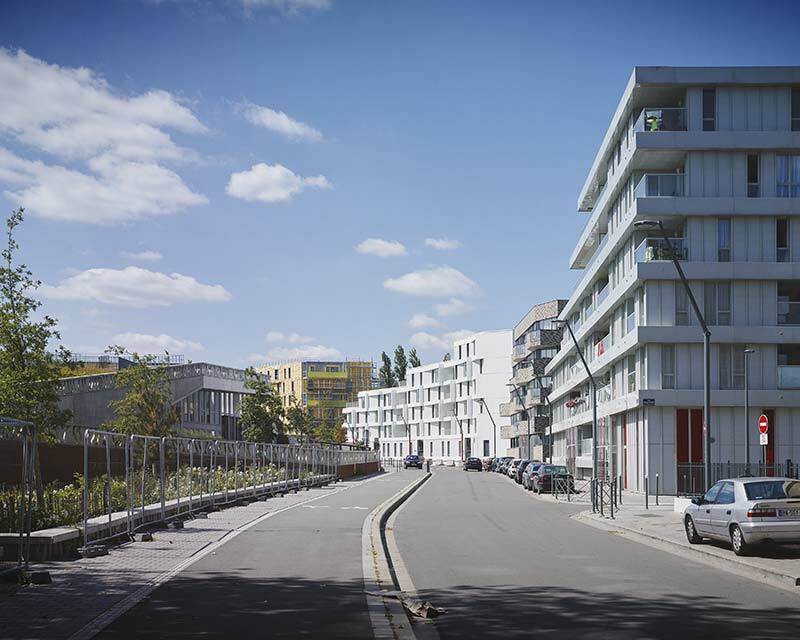 The project is located on Lille’s southside in the Arras Europe urban development zone, which was created after the demolition of a certain number of much criticized high-rises and housing blocks. 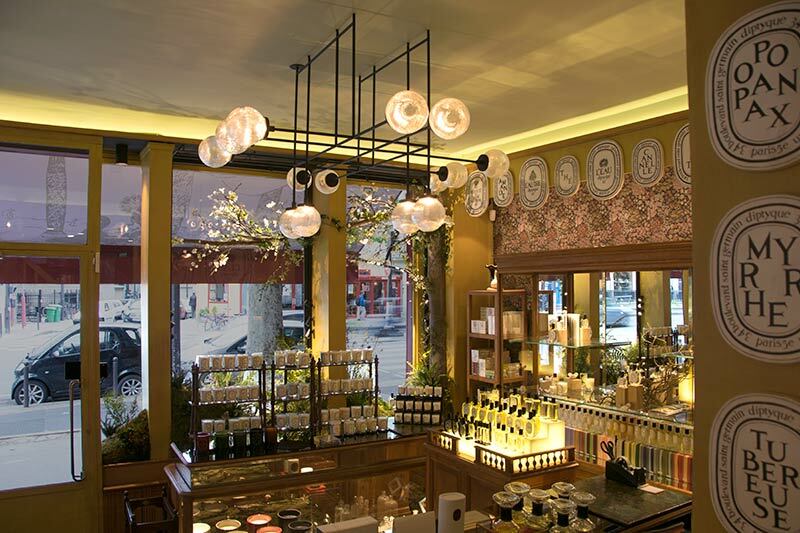 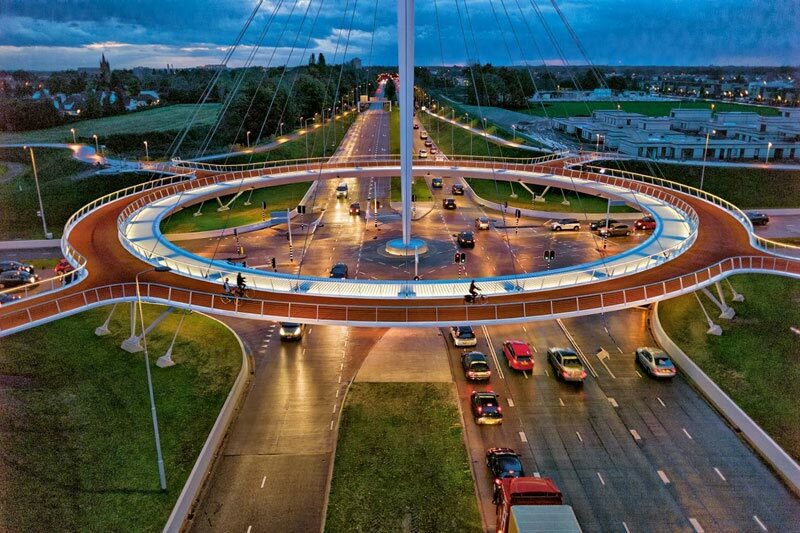 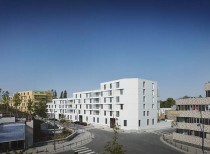 The district is at present being transformed under the guidance of urban designer, Nicolas Michelin. 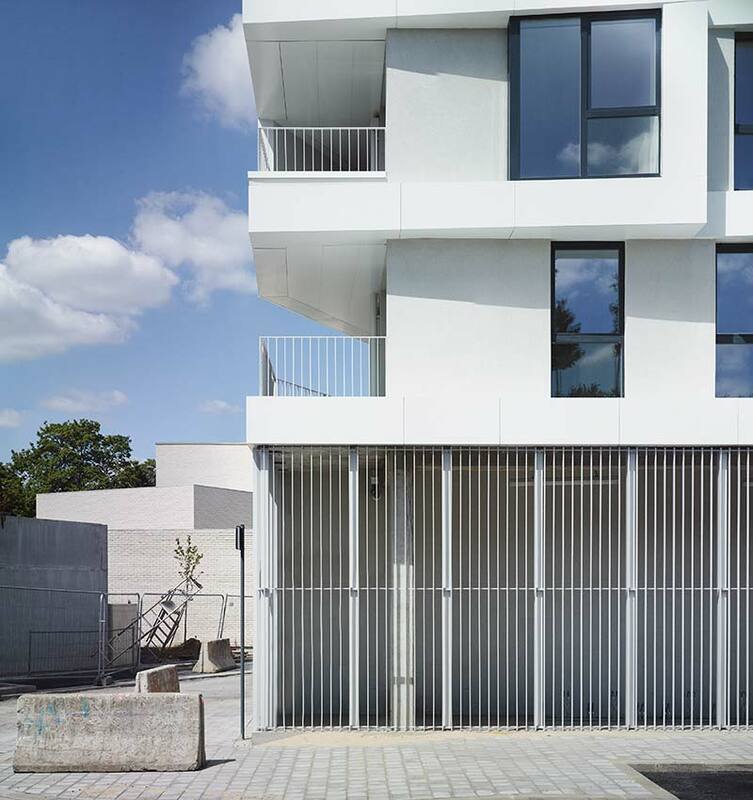 He has arranged the space around a landscaped corridor with a scattering of public facilities that leads to a large, busy park designed by Pascal Cribié. 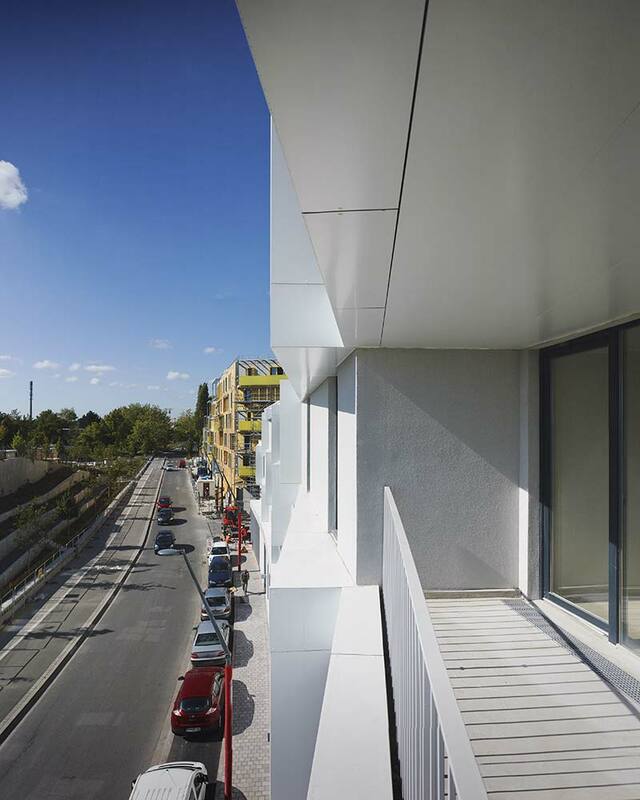 The park abuts on the modern music room designed by architects Lacaton and Vassal that it literally covers, providing an unexpected belvedere that overlooks this very flat area. 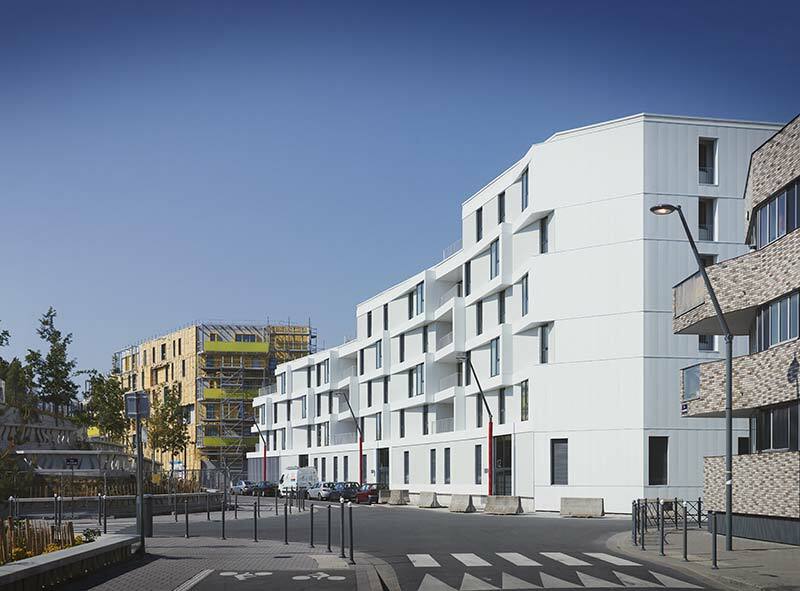 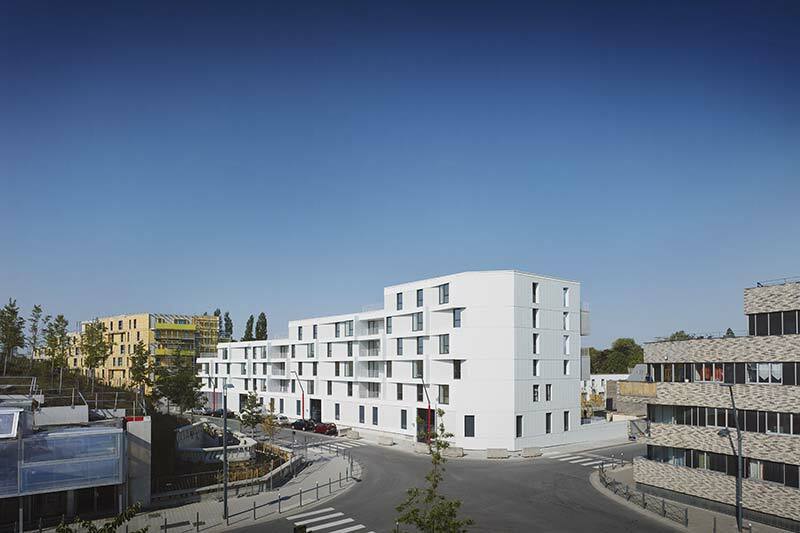 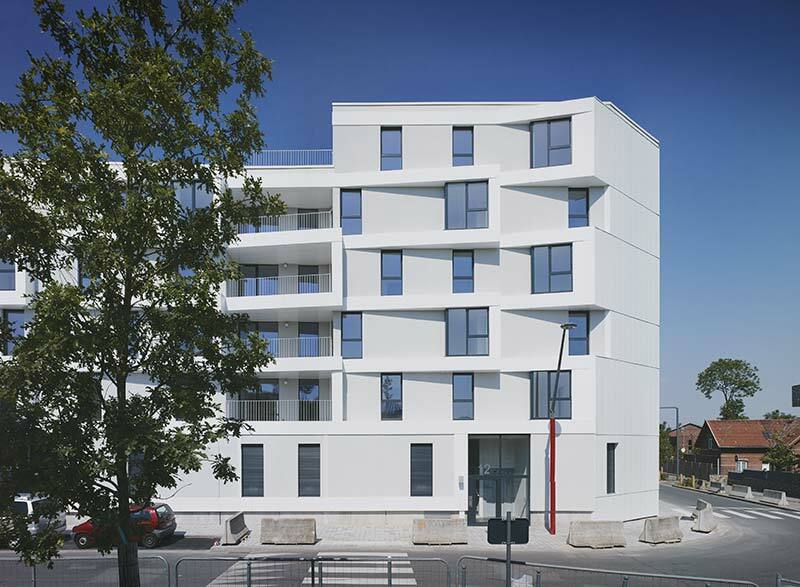 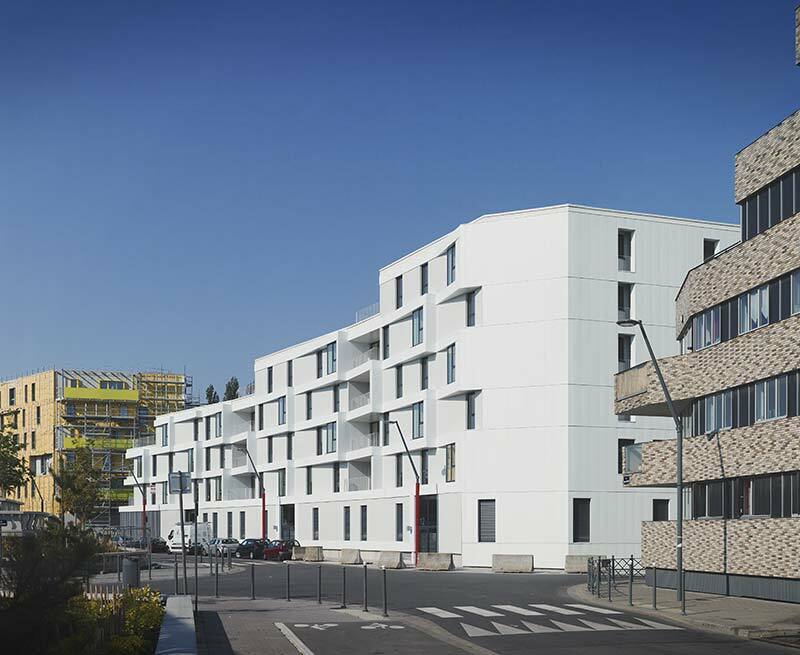 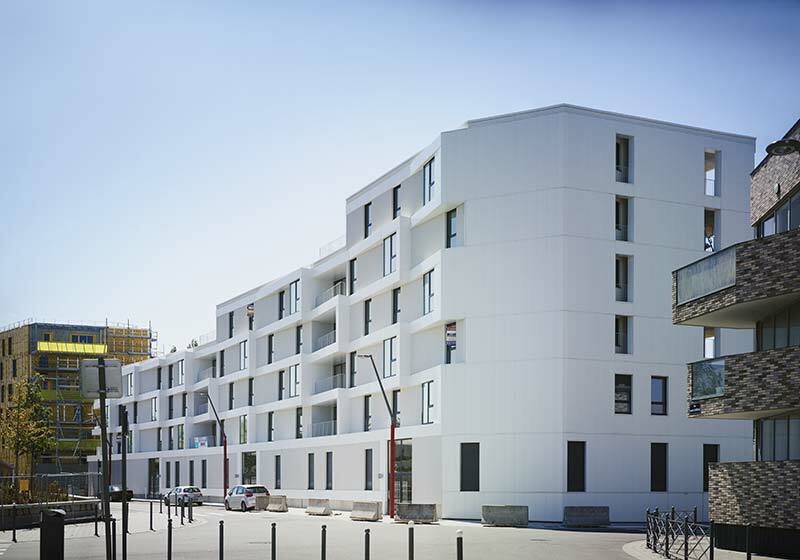 The residential buildings and houses built in strips that have sprung up in the neighborhood demonstrate a contemporary architecture and various architectural processes and outlines while using the codes and cladding that are so typical of Lille and its region. 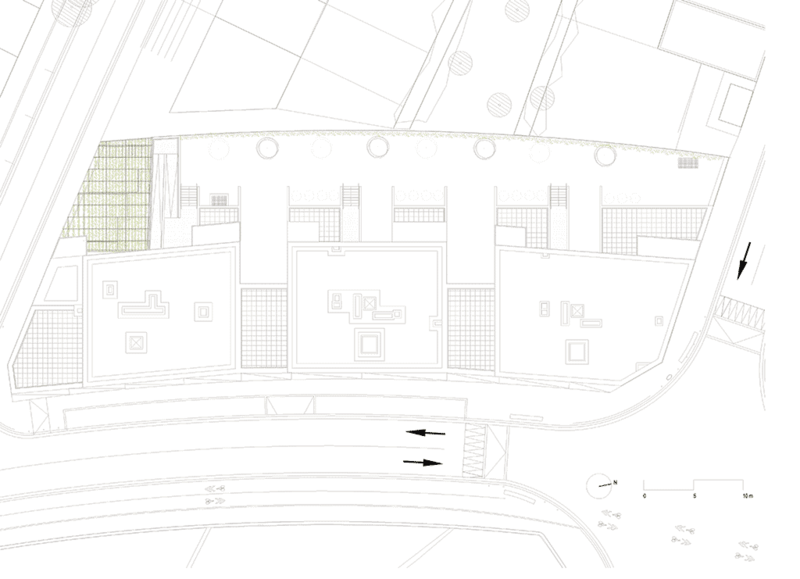 The project runs north to south on a curve that borders the park. 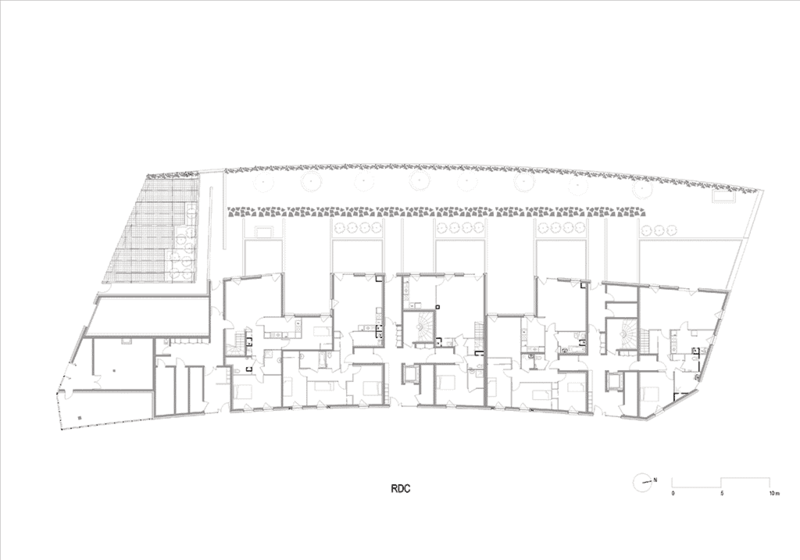 It enhances this perspective and dynamic with its stepped look rising from floors 2 to 5. 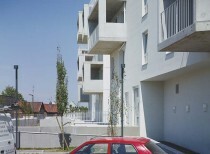 The curve is highlighted by a scale-effect that contains bow-windows and balconies that give superb views over the park. 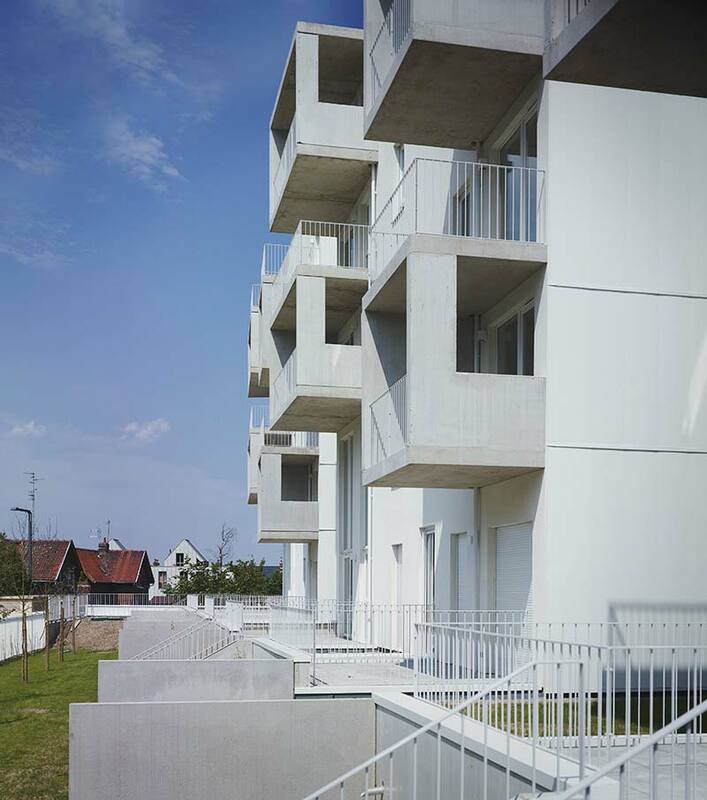 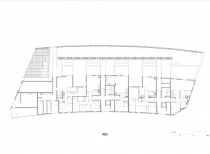 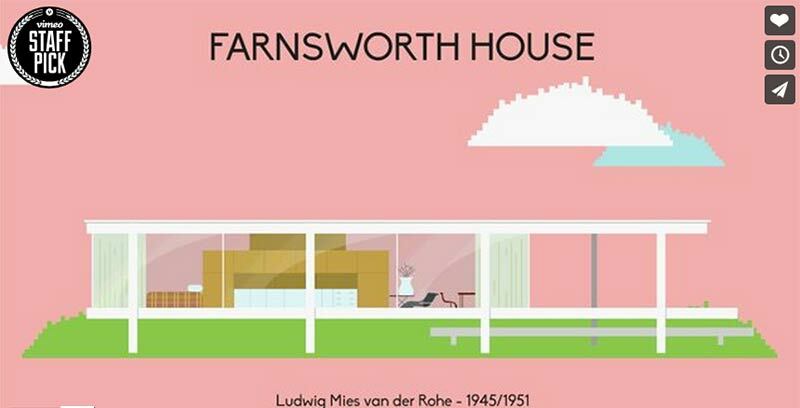 As a whole, the building has been divided into three smaller units so as to reduce its impact and even further lightened by a play of balconies and vertical slits behind. 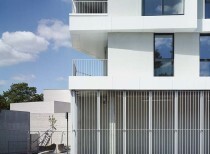 Lacqered white aluminium is the main material used; it weds the southerly jutting scale-topped architecture. 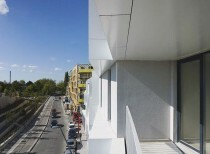 Inside the frames, the building’s flat surfaces are treated with a metallic mineral finish that creates a play of reflections on the walls’ surfaces. 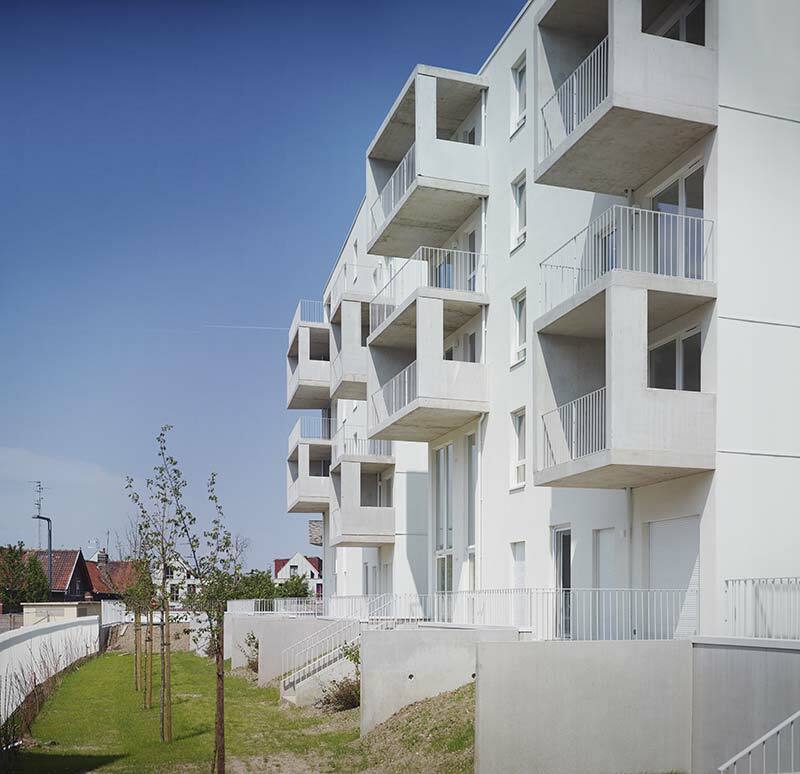 The west side is also treated in a light-toned mineral coating while the box-framed terraced volumes are treated in raw concrete. 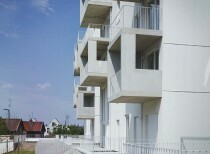 The railings are made of vertical bars. 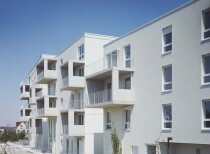 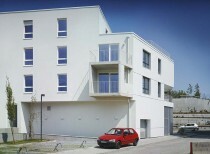 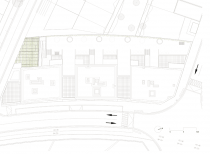 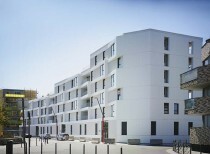 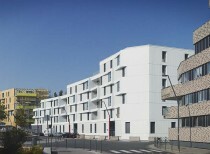 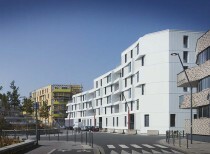 Its 36 units are accessed by three entrances all on the rue de l’Asie. 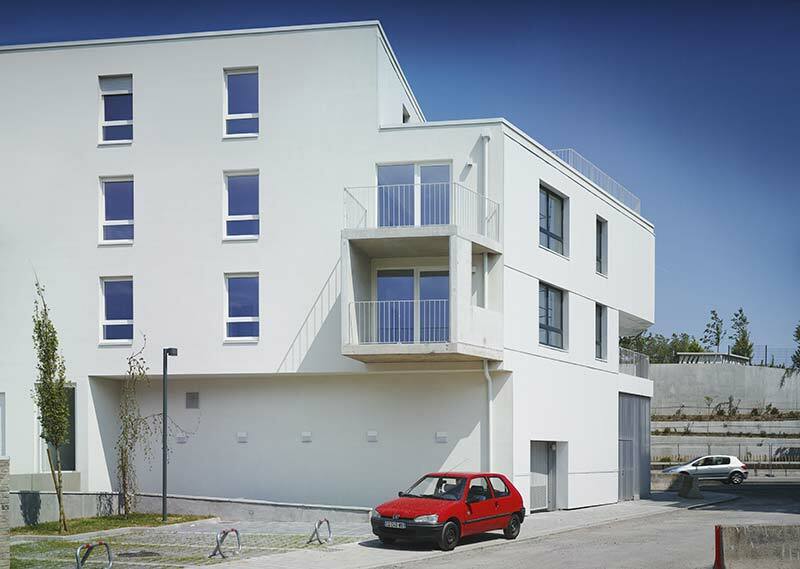 The ground floor is raised above the surrounding land so as to safeguard privacy and benefit from the parking garage’s natural ventilation. 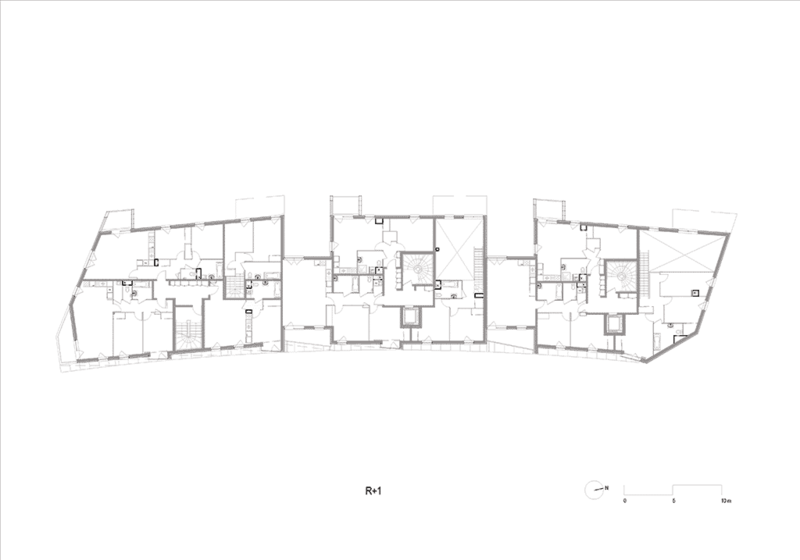 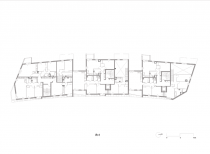 This arrangement makes it possible to organize small single-perspective units on each wall, whereas the larger 3-, 4- and 5-bedroom units are either walk-through or possess double, sometimes triple, perspectives. 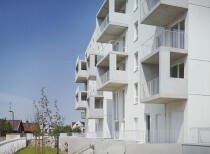 Behind, in the plot’s center is a garden that is shared in common by the building’s residents. 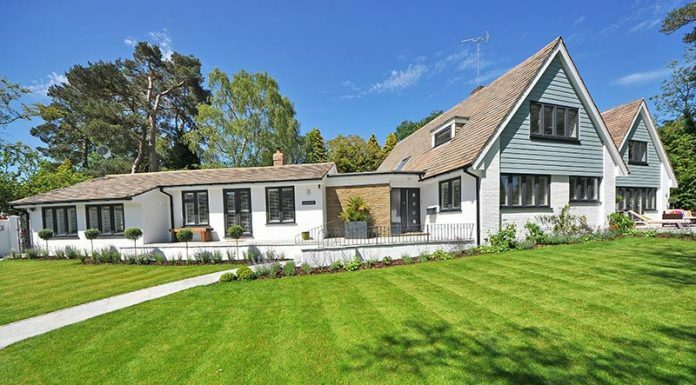 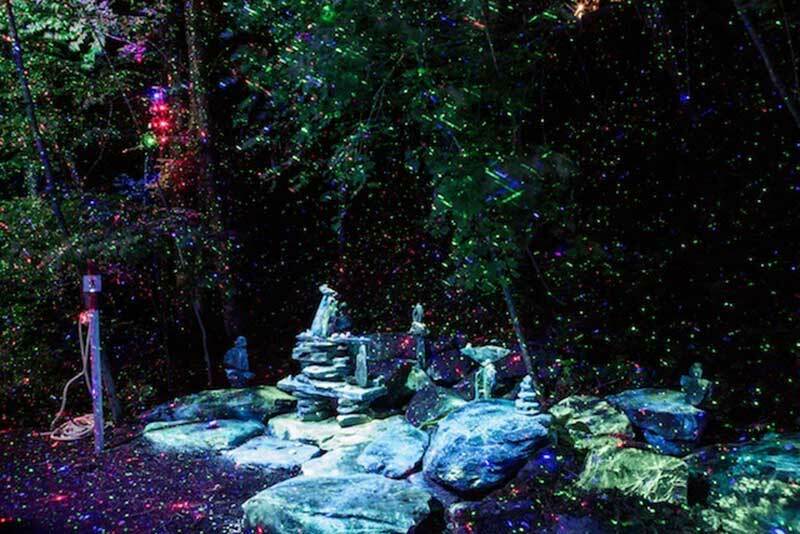 With a hybrid lawn and indigenous shrubs, it also contains a playground for small children. 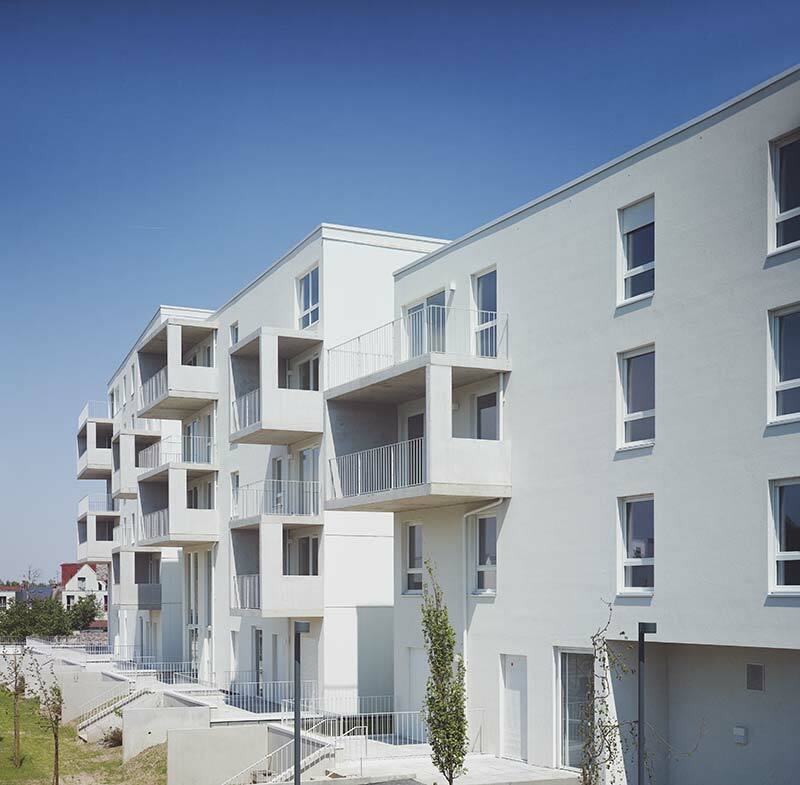 The project enjoys an energy-efficient label (BBC), ensuring that future residents have a high level of heating comfort, environment-friendly dwellings and substantial savings in energy costs. 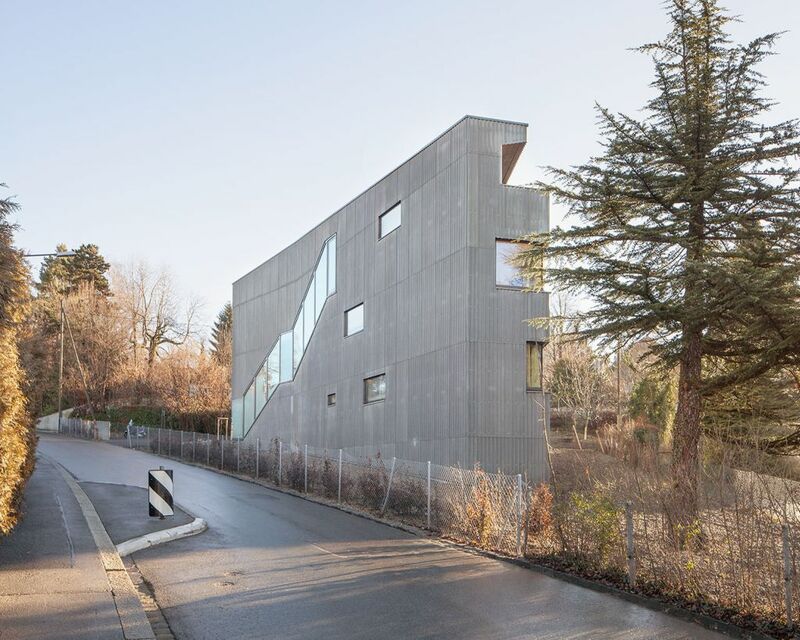 Located on the border of the city of Lausanne, between the residential area of Chailly and the agricultural estate of Rovereaz, the new building stands on a steep plot planted with trees.